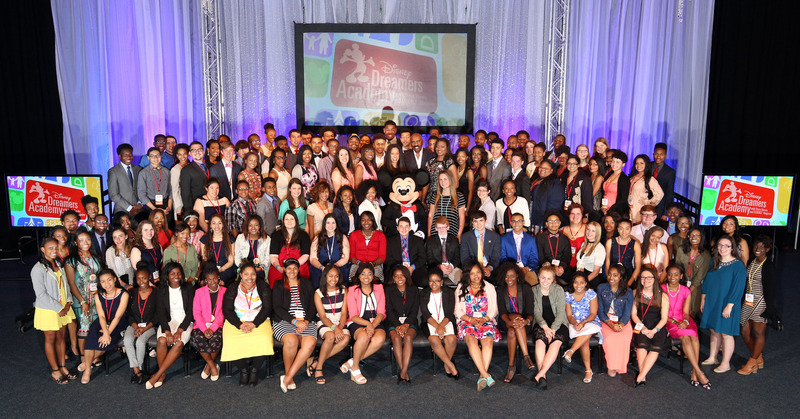 High school students nationwide can now apply to be among 100 students selected to participate in the 2017 Disney Dreamers Academy with Steve Harvey and ESSENCE, the innovative, outside-the-classroom, mentoring program at Walt Disney World Resort. The 2017 Disney Dreamers Academy will mark the program’s 10th year. The event takes place in the very magical and creative setting of Walt Disney World Resort. Dreamers are taken both on stage and behind the scenes, where Disney theme parks become vibrant ‘classrooms,’ leading to career discoveries, the pursuit of dreams and fun memories to cherish for a lifetime. For more information regarding applications, interested applicants can visitDisneyDreamersAcademy.com, or follow the Dreamers on Facebook.com/DisneyDreamersAcademy or Twitter.com/DreamersAcademy.